Humidity display, temperature display, the doorbell function, memory function, time and date, weather conditions, it is necessary helper in your life. It not only can display the current temperature and humidity, also record the highest and the lowest temperature and humidity since monitoring. 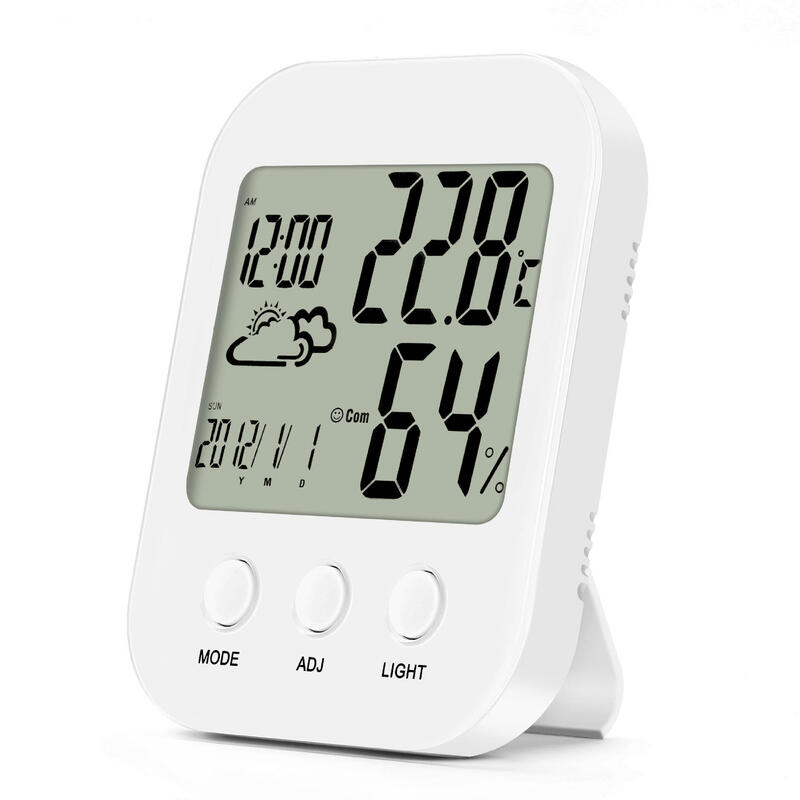 2.Multifunctional Monitor : It accurately tells the temperature( Fahrenheit or Celsius),humidity,highs and lows for both temperature and humidity.the weather forecast,the calendar, the time(in 24 or 12 hr format)and alarm. 3.Health Care Aide : The hygrometer tells you the timely humidity levels in your room then you can do something to control it in a safe level. This is especially important for babies and those who have respiratory issues. 4.Alarm & Snooze Function : While alarming press snooze key and 5 minutes later it will alarm again. It can be repeated for 3 times. 5.Weather Forecast for Reference : The weather forecast of the hygrometer is based on the Boolean calculation of the temperature and humidity in COMS Chip.it's only for reference.